Mandy + Ally is thrilled to be participating in this event! 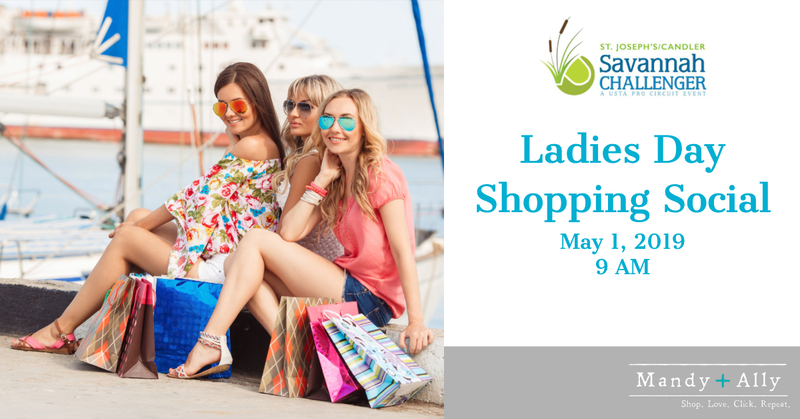 Ladies Day Shopping Social is OPEN TO THE PUBLIC and will feature clothing, handmade jewelry, handmade soaps, skincare, art and much more from vendors such as Ansley Kornegay Design, Whip Savannah, Marsh Savannah, Amelia Gray Boutique, Rodan and Fields, Spur Creek Designs, Savannah Succulents, Nudara, Blue Mermaid, Profile By Sanford, Palm Avenue, Tail, Oakridge Fitness, and Franklin Creek Tennis Pro Shop. !